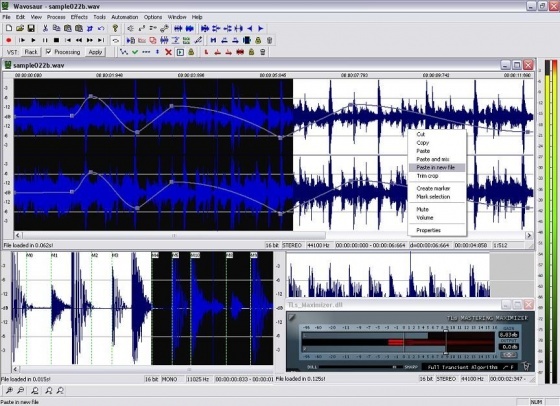 The free audio editor, wavosaur has all necessary functions for wav and mp3 files to edit. Among other things, you can use the free audio editor wavosaur music files, record, analyze, cut, with loops provided and also convert. The freeware wavosaur with vst plug ins extensible and supports asio driver. The processing in wavosaur comfortable solved, for drag and drop, drag the files into the program window and can use the music editing, and also with filters according to their preferences. The recording of pieces of music designed with wavosaur as easy. You connect a microphone, tape recorder or a record player to the computer and take the music in. Wavosaur supports including wav, mp3, aif, raw, and adpcm. For the export of mp3 files the program uses the free lame encoder. You can free download Wavosaur latest full version from LoadSafeSoft.